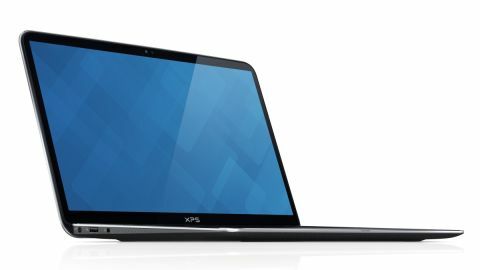 With an FHD touchscreen and 4th generation Intel Core chips, Dell's XPS 13 remains an ultrabook to beat. Dell had already outdone itself with the XPS 13 ultrabook in early 2013. That notebook matched the competition almost point for point, but in a smaller frame. Of course, the competition never stops, with full HD touchscreens and Haswell processors the norm for premium laptops going into 2014. While Dell lagged a bit behind, the late 2013 XPS 13 line finally sports all new CPUs, 1080p touch panels and even beefier batteries. The company managed to fit all this in the same tiny frame that looks more like an 11-inch laptop than a 13-inch device. So, was it enough to remain relevant? Competitors like the Samsung Ativ Book 9 Plus and 13-inch MacBook Air have scored some much-needed upgrades, too. In the process, these premium machines have differentiated in key, divergent paths. The XPS 13 lands somewhere in the middle of both thin and light rigs, while maintaining its master class look and feel. Where the Ativ Book provides a viewing experience that's "beyond HD," the XPS 13 sticks to good old 1920 x 1080. (Where Windows 8.1 looks best, anyway.) And while the MacBook Air stuck to its guns with the now-dated 1440 x 900 resolution, doing so helped it achieve standard-setting battery life beyond what Dell's laptop can say with its sharp new screen. Little, if anything, has changed about the XPS 13 design with this update. And I have zero beef with that. The machined aluminum lid with shiny chamfered edges and chrome Dell logo return in good form. Opening the lid reveals the same magnesium palmrest, coated in that svelte soft touch paint (and again: chamfered edges) for that cool and comfy feel. And the returning carbon fiber base continue to stay put on your lap. Through and through, the XPS 13 still looks and feels like Dell's answer to the MacBook Air. If this laptop's chassis were made completely of aluminum, you'd have a hard time distinguishing the two. But this notebook's differences aren't for sake of dodging patents or trademarks; they have purpose. The question is whether they're for the right purpose. The only tangible differences between this XPS 13 and its Apple-made rival are of size, feel, interactivity and weight as a result. This laptop's dimensions not only make for an impressively thin bezel, but a machine that looks terrifically tiny for its screen size. But the biggest difference is touch, something you find on so many Windows 8 machines, but only on iOS in the world of Apple. The touchscreen was a necessary addition if Dell's wants to make a luxury laptop, putting the XPS 13 on par with Samsung and Acer's premium machines. However, that screen bumps the XPS 13 up to 3.03 pounds from 2.95, and out of the MacBook Air's weight class. Let's see how else this notebook meets, or exceeds, the competition where it counts, on the inside.